There have been a lot of new subcompact crossover vehicles emerging into the market recently, but the 2016 Honda HR-V is truly one to watch. 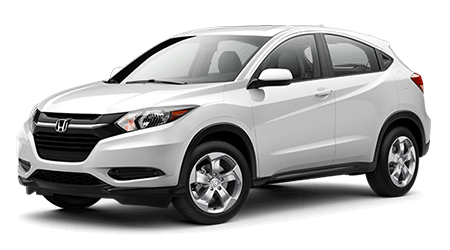 If you are looking for amazing versatility and utility in a small package, come to Brandon Honda in Tampa and explore the all- Honda HR-V. You will fall in love with this peppy compact crossover and will be amazed and the HR-V's versatile interior. Come to our Tampa Honda dealership and explore the entire Honda lineup, including the brand HR-V. 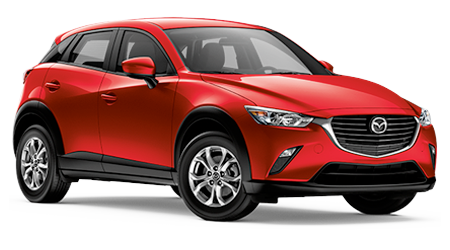 The Mazda CX-3 is also an all-new model, but it is not as well-thought-out or well-designed as the 2016 Honda HR-V. 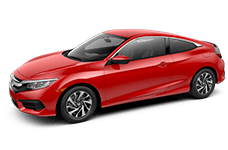 These days, it is rare to find a vehicle with a standard manual transmission, with most brands opting for the everyday convenience and all-inclusiveness of an automatic transmission. The 2016 Honda HR-V, on the other hand, does feature a standard six-speed manual transmission in its LX trim. For many drivers, a manual transmission is a great way to feel connected and totally in control of your car, but if you choose the Mazda CX-3, you can't have that experience, as it is only offered with an automatic. For shoppers looking for an affordable, back-to-basics new car, the 2016 Honda HR-V LX is a great choice. You might hear "subcompact" and think "not much space", but when it comes to the 2016 Honda HR-V, that's just not the case! The total passenger volume of the 2016 HR-V is 100.1 cubic feet, while the Mazda CX-3 only measures at 87.6 cubic feet of total passenger space. In the HR-V, there is an inch more headroom, three inches more shoulder room, and inch more hip room than there is in the Mazda CX-3. The second row has four more inches of legroom, an inch more headroom, and four inches more shoulder room than you will find in the CX-3. The Honda HR-V might be small, but it's not as small as the Mazda, also that space is used wisely so everyone on board will be comfortable. Inside the compact yet cavernous cabin of the 2016 Honda HR-V, you will find a lot of room for cargo. Behind the rear seats, the 2016 HR-V has 24.3 cubic feet of cargo space. If you fold the rear seats down (which is extremely easy thanks to Honda's amazing Magic Seat system) you will open up 58.8 cubic feet of cargo space! The Mazda CX-3 only has 12.4 cubic feet of cargo space behind the rear seats, that's half of what the HR-V has, and folding the seats down gets you only to 44.5 cubic feet of total cargo space. The Mazda CX-3 also does not features a multi-configuration folding seats system like the HR-V's Magic Seat. The HR-V is our winner, again! Brandon Honda of Tampa has the Honda HR-V is stock and ready for you to test drive. 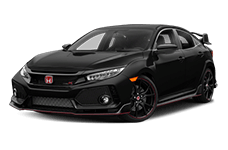 This amazing all-new model is one of Honda's best, and you don't want to miss it! If you are shopping for a new car in Tampa, head straight to Brandon Honda to explore the new HR-V subcompact crossover.